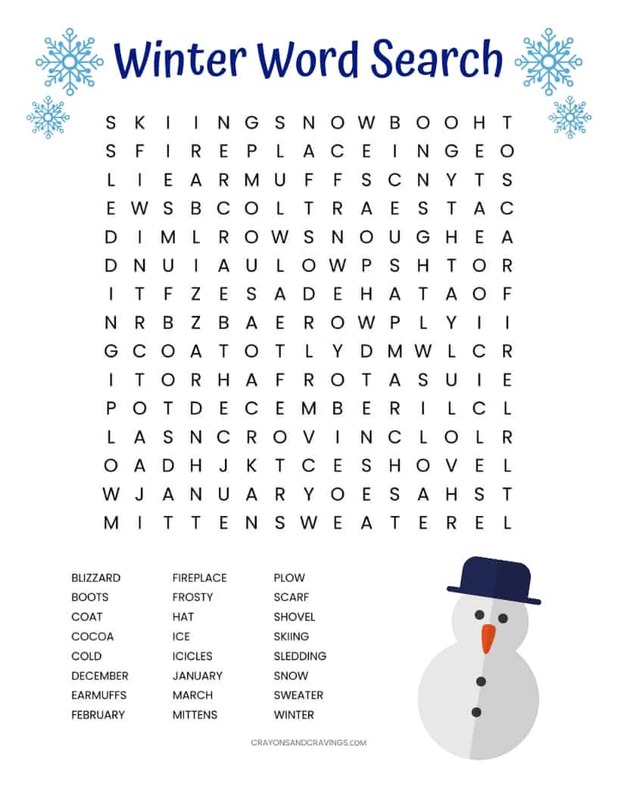 Winter word search printable worksheet with 24 Winter themed vocabulary words. Download and print for the classroom or as a fun activity at home. Tis the season for building snowmen, sledding, and snuggling up near the fire with a cup of hot cocoa. I hope that this Winter word search puzzle helps you to celebrate the start of this chilly season. Word search puzzles are a fantastic way for children to have fun while exercising their brain and learning something new. With 24 Winter vocab words to find, this is a rather challenging word search puzzle, great for building vocabulary and reinforcing spelling skills. Find the link to download this word search PDF under the image below. Then, print out the word search on your home computer. This word puzzle would be great for handing out in the classroom as a fun Winter activity for the children. It would also be a perfect activity to have have your children do at home just for fun. Adults can even have fun solving this word search as well! I know I did! Note: Words can be found going horizontally, vertically, or diagonally (but not backwards). 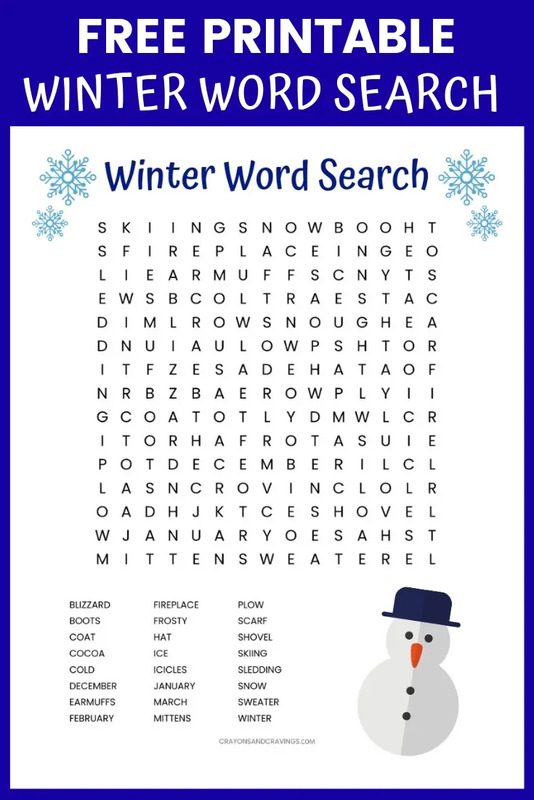 I hope that you enjoy this fun printable Winter word search! Be sure to grab our spring word search too so you are ready next season.